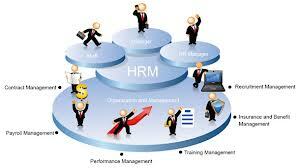 HRM estimates the manpower demand and manpower supply of the organization. It compares the manpower demand and manpower supply. If there is manpower surplus then it gives voluntary retirement, lay-off, etc. to some employees. If there is manpower shortage then it hires employees from outside, gives promotion to employees. Human resource management focuses on an organization’s most important assets, which are its employees, but it does not do so in a simple manner.There are many different features that are included in the human resource department, but all of the features deal with a specific aspect of the employees. Human resource management actually refers to the processes that are involved with managing all of the people in the business, which includes employing and training employees, but also refers to monitoring their progress and rewarding them for their performance. HRM involves management functions like planning, organizing, directing and controlling.It involves procurement, development, maintenance of human resource. HRM is a mighty disciplinary subject. It includes the study of management psychology communication, economics and sociology. It involves team spirit and team work.